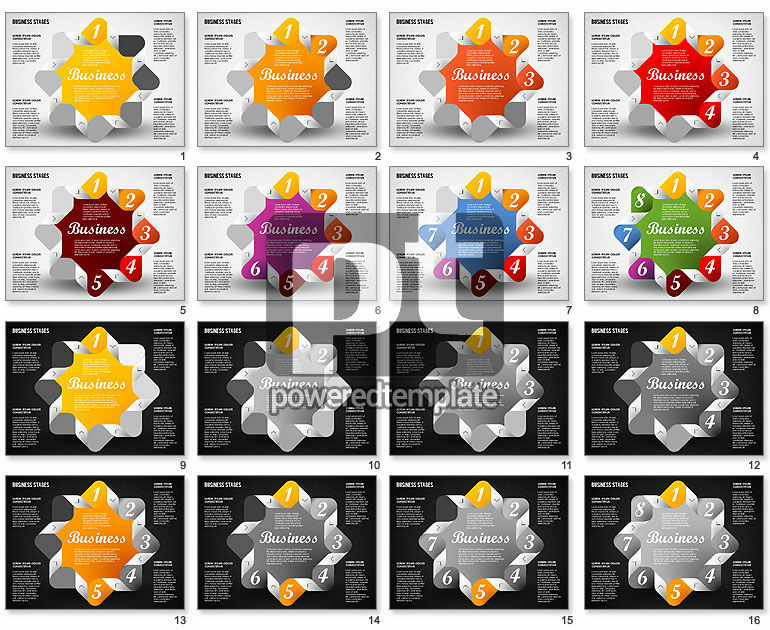 These presentation slides 42655 are complete compatible with Google Slides. Simple download PPTX and open the template in Google Slides. Meet this incredibly nice Moebius strip template. It is created in luxurious palette with cute polygons with stripes and numbers in the center. This fabulous theme will perfectly suit presentations of various kinds in many spheres of business or education because of its versatility. Use it to describe the timelines, schedule, milestones, stages of work, workflow, make action plans and so forth.